"Nobody" is a classic later-era Mary J. Blige love song in the spirit of Mary J. Blige love songs: she is singing as though her life depends on it, breathless about the recipient of her affection, slightly fragile with a warble but strong from the spirit of your touch, babe. It will give you life. 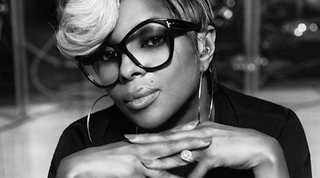 Blige's upcoming album, The London Sessions, consists of work the singer did while there, collaborating with Brits like Disclosure, Emilé Sande, and Sam Smith, who guests on this track. (That's him doing back-up towards the end.) "Nobody" was produced by UK garage great MJ Cole, who puts a propellant house undertone that drives it. This resurgence of Blige as a house diva is absolutely the place she should be, a smart move for an R&B goddess who's growing older in an era of thin-voiced singers on outré beats. And she knew it, too, as producer Rodney "Darkchild" Jerkins recently told Billboard: "It's the clearest and cleanest she has ever sounded. Everyone is saying it. This is probably the best place she has been in a long time." After decades of tears, that's heartening to hear.